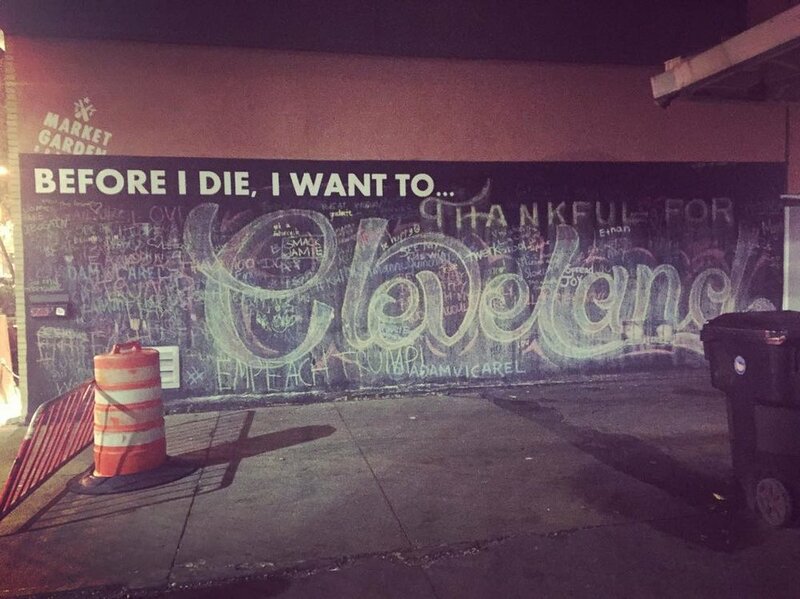 I will forever have a deep, deep love for my hometown, the city of Cleveland, Ohio. 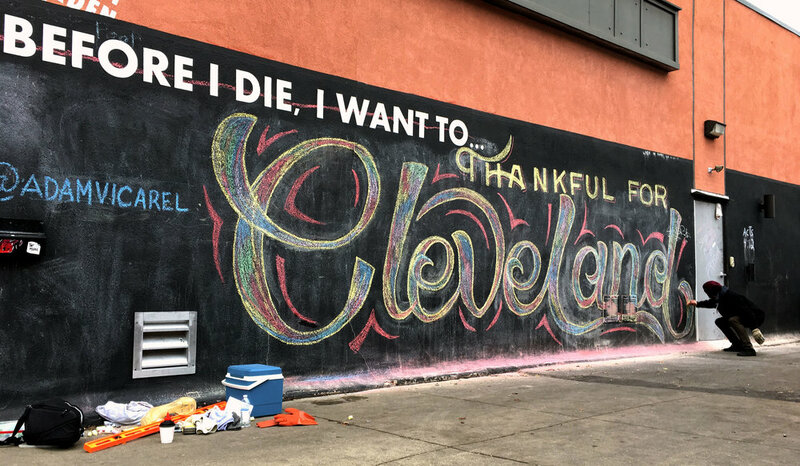 Drawn on Thanksgiving eve, I wanted my hometown to know that I'm "Thankful for Cleveland"! 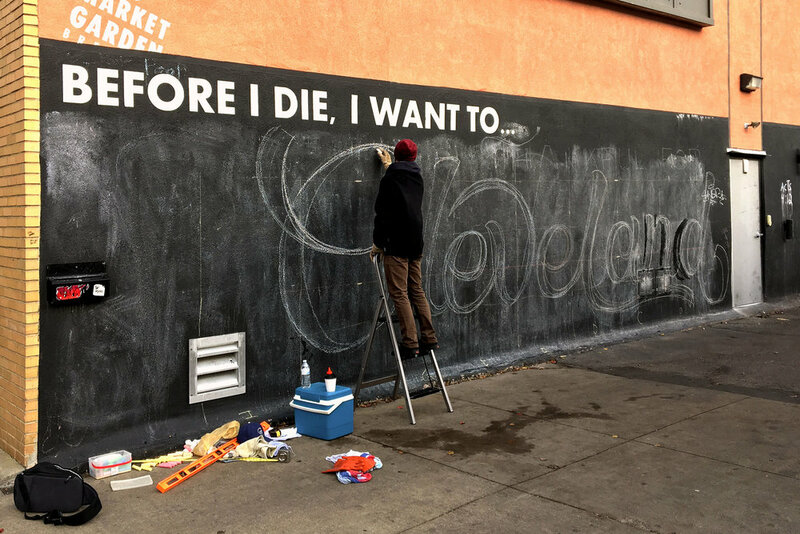 One of my favorite aspects of creating murals is seeing a how the community reacts and interacts on social media with the space in which the art has been created.